"Play spaces also changed: Plank swings and steel merry-go-rounds disappeared, while impact-absorbent rubber surfacing spread over so-called drop zones, driving up the cost of new playgrounds. A market appeared for lab-tested, safety-certified fiberglass boulders. The result has been a gradual sterilization of play, said Meghan Talarowski, an American landscape designer who has compared British and American playgrounds. Ms. Talarowski, who was struck by how much more adventurous playgrounds were when she moved to London in 2015, threw herself into gathering data. Using a quantitative tool developed by the RAND Corporation, a research center, she used video to track the behavior of 18,000 visitors to London playgrounds, then compared it with similar data on visitors to American parks. The findings suggested that exciting equipment had a pronounced effect: The British playgrounds had 55 percent more visitors over all, and children and teenagers were 16 to 18 percent more active. The features that held visitors’ attention the longest — sand, grass, high swings and climbing structures — were elements American park managers use sparingly, because of high maintenance costs and the risk of falls, Ms. Talarowski said." We are excited to share that we have put together a preliminary report of our findings from our London Study of Playgrounds! In the spring of 2015, over a six month period, we visited 45 playgrounds within the 1km radius of the center of London, and selected 16 as part of our study. We then conducted 253 observations, took 1638 videos and categorized 14,853 visitors by age, gender, ethnicity and activity levels. Upon returning to the US, we compared our findings to the National Study of Neighborhood Parks by the RAND Corporation, to understand the influences of the design of playgrounds on play behaviors and physical activity levels in children and teens. We discovered that playgrounds in London had 55% more visitors and 16-18% more physical activity in children and teens than comparable playgrounds in San Francisco, Los Angeles and New York. The report contains a summary of our methodology, our initial findings, as well as images of the 16 play spaces. It is the first of two reports. The second will be a more in depth look at play behaviors related directly to surfaces and play structures, as well as an assessment of playground injury rates in the UK vs US, and cost differences in playground installation and maintenance in the two countries. We won the Kaboom Play Everywhere Challenge! We are thrilled to announce that we are winners of the Kaboom Play Everywhere Challenge for our Play Parklet, in partnership with Roofmeadow and University City District. We can't wait to create a playful cove of activity on an active street, reclaiming play from cars and managing stormwater. A win win for everyone! Thanks Kaboom, Robert Wood Johnson Foundation, Target, Playworld, the US Department of Housing and Urban Development and the National Endowment for the Arts for the support! It has been a whirlwind couple of months! In March, we won the international design competition PlaySpace. In April, we presented our London Study of Playgrounds at the national conferences for The Association for the Study of Play and the US Play Coalition. In May, we submitted for the Kaboom Play Everywhere Challenge, which we are now a finalist on two projects. In June, we submitted our National Study of Playgrounds to the National Institute of Health for funding, with our partner, the RAND Corporation. In July, we were published in Landscape Architecture Magazine, as part of the article "Play It Up. In August, we were published in Context, the magazine of AIA Philadelphia, for our article "Risky Business: The Dangers of Playgrounds That Are Too Safe". It was also re-published on the Community Design Collaborative's blog. 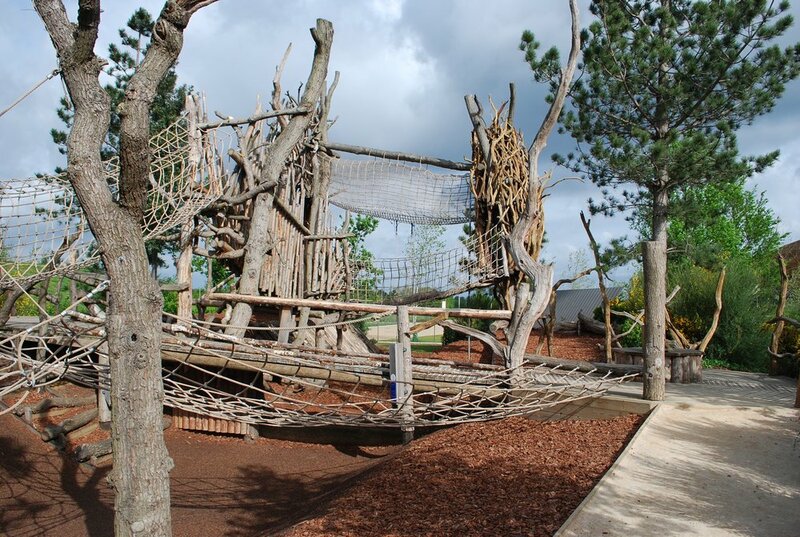 Playgrounds are getting noticed, and people are getting excited. We can't wait to see what the next couple of months brings! Stay tuned! We won the International Design Competition, Play Space! Yesterday, we had the honor of being selected as 1 of 3 winners for the international Play Space design competition hosted by the Community Design Collaborative and the Delaware Valley Association for the Education of Young Children (DVAEYC). "The power of play space in the community and its impact on early childhood development cannot be underestimated. Play Space is rooted in the concept that urban play space is an unexpected contributor to solving some of the cities most critical challenges. These spaces strengthen the fabric of neighborhoods and can improve early learning skills, imagination, independence and health outcomes for children and also provide a venue to build strong interpersonal relationships, leading to strong communities and family friendly cities." Our team consisted of us (play design), RoofMeadow (natural systems engineering) and Space for Childhood (early childhood education). Check out our winning presentation!